Chioggia Sottomarina is an Italian tourist destination on the Laguna di Venezia. The town is very popular among tourists; indeed it is a jewel that attracts visitors from all over Europe, second only to Venice of course. It is a meeting point for lovers of art, culture and the sea. The beach of Sottomarina also offers an amazing beach vacation on one of the most beautiful coastal areas of the Adriatic sea. The hotels are primarily located in Sottomarina di Chioggia, like the Hotel Ambasciatori, which provides a full beach vacation including all services. This municipality in the region of Veneto with barely 48.000 inhabitants offers beautiful landscapes and architecture to be discovered between the city of Chioggia and the beach of Sottomarina. While the city has extraordinary well conserved historical buildings, the beach boasts 3 km of suggestive landscapes, similar to the big Brazilian beaches. The place is already magic by itself, while among the hotels of Sottomarina di Chioggia, the Hotel Ambasciatori is one of the most comfortable and offers all desirable services. The house is modern and fully equipped, located in a strategic position for those who are looking for a complete vacation between sea and city. Indeed, it is located only 170 m from the sea and 250 m from the city centre; ideal for a vacation suitable for everyone. The hotel is also located close to various transport hubs and therefore easily reachable without car, perfect conditions for those who arrive by plane to Venice and decide to travel by public transport to Chioggia. All rooms are very comfortable, equipped with air conditioning, hair dryer and TV. Some have a stunning sea and beach view. The furniture is functional and modern, very well organised and well-maintained, without being tacky or excessive, and satisfies to the fullest all needs of your stay. 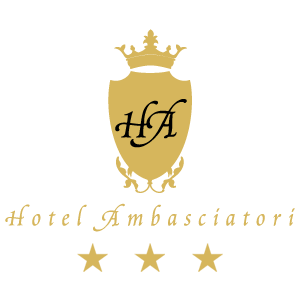 We offer plenty of services that are somehow also uncommon for a three-star hotel. 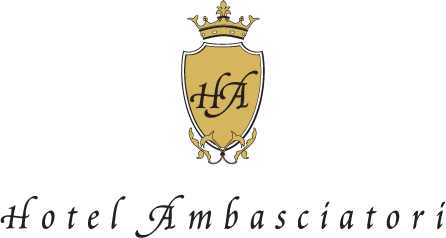 The Hotel Ambasciatori provides a stable Wifi connection in all areas to maximise comfort to the fullest. Furthermore bikes are at disposal for our guests, in order to further facilitate access to the beach and the city centre, as well as parking for those who arrive by car. Other features in favour of the Hotel Sottomarina di Chioggia Ambasciatori 3 stars are our love for food, in fact we offer a complete menu, with also vegetarian and gluten-free dishes. To complete your vacation the hotel offers access to the nearby swimming pool and beach service. Lastly, there is a concierge to guarantee 24/7 access to the hotel and help guests with any needs they might have. Concerning the breakfast, the buffet offers plenty of food and beverages such as fresh croissants, local sweets, marmalades as well as coffee, cappuccino, etc. There are hardly other restaurants in Sottomarina di Chioggia who have a similar love for food than we do, preparing traditional as well as international dishes. Breakfast, lunch or dinner: any occasion is the right one to enjoy the spectacular panorama on the beach and sea from the dining hall; all this in a domestic but elegant atmosphere, for an unforgettable holiday. All in all the Hotel Ambasciatori in Sottomarina provides you with a complete service at the best price guaranteed – check back on our website as we periodically update special offers for every season. Definitely the perfect holiday place for you – and for your four-legged friends.